A form is a group of input controls like input elements, select elements, radio elements, checkboxes, textarea elements and button elements. Forms are mainly used for validation purpose and notifies a user about invalid input before submitting to the server. Forms provide better user experience as it gives instant feedback to the user on how to correct the error. 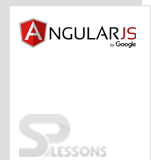 The present chapter gives a detailed information about AngularJS Forms. 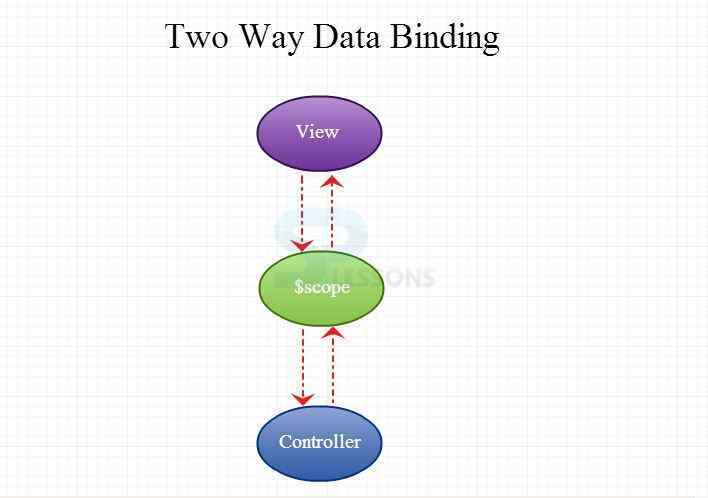 Here is an example of AngularJS form. This is a two-way binding. If the $scope.spForm.name has a value set inside SPController function, the input field will start with that value. Additionally, once the user types something into the text field, that value will be copied into the $scope.spForm.name property. A checkbox has two values either TRUE or FALSE. To use check boxes in AngularJS forms,bind the ng-model directive to the checkbox. Radio buttons are binded to the application with ng-model directive. Single ng-model can be used for Radio buttons that can have different values, but only the selected ones will be used. ng-model directive binds the select box to the application. Any of the options defined in the ng-model attribute can be selected in the selectbox. 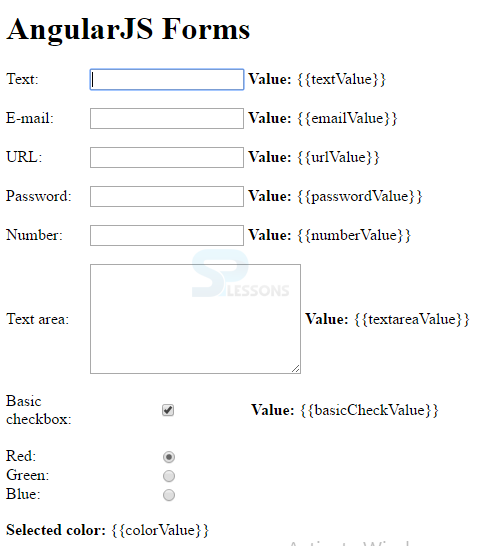 Here is an example of AngularJS Forms demonstrating use of various input form elements of AngularJS. A form is a group of input controls. input type, select, textarea and button are various form controls. The directive ng-model is used to bind input elements to the user object of application.